The GMC Jimmy, or S-15 Jimmy depending on the model year, is a mid-size sport-utility vehicle that's nearly identical to the Chevrolet S-10 Blazer and was sold from 1983 through 2005. 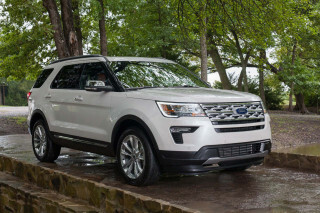 It joined a group of other mid-size, pickup-based SUVs of the time, which included the Ford Bronco II, Toyota 4Runner, and Nissan Pathfinder, among others. 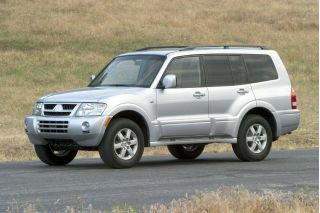 It also competed with the Jeep Cherokee, Isuzu Trooper, and Mitsubishi Montero. Base versions of the original S-15 Jimmy were downright underpowered, with only an 83-horsepower, 2.0-liter four-cylinder engine to move well over 3,000 pounds of curb weight. The 2.8-liter V-6 is a recommended pick, and while it wasn't quick, it felt stronger than its 110-hp rating might suggest. 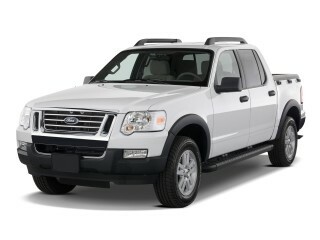 Versions were made with rear-wheel drive or four-wheel drive, and 4WD had shift-on-the-fly capability. By 1985, the standard engine was upgraded to a 92-hp 'Iron Duke' GM four-cylinder, and in '86 the V-6 was upgraded to 125 hp thanks to fuel injection; that V-6 was made standard for 1989. For 1990, the Jimmy got a newly optional 4.3-liter V-6, making 150 hp, and a four-door version of the Jimmy was at last introduced in 1991. The larger V-6 got a bump to 200 hp in 1993. And by this time, the SUV craze was underway, and U.S. households started to truly consider the Jimmy as a more durable family-vehicle alternative to sedans. 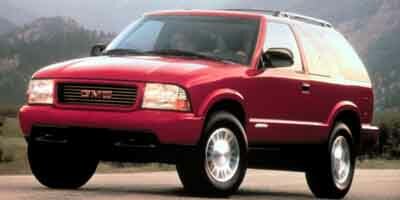 That trend continued to surge as GM finally redesigned these SUVs for 1995 (with the Chevy version later renamed Trailblazer). The Jimmy became heavier and more comfortable and luxurious in general, with several suspension choices (including an Off-Road Suspension) and engines progressing up to a 195-hp, 4.3-liter V-6. 1997 brought a one-piece hatch in place of the previous liftgate with separate glass, while the '98 model got a modest restyle. 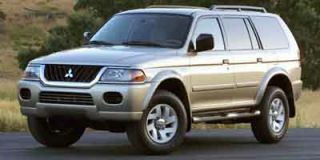 Then for 1999 the Jimmy introduced an all-wheel drive system and various interior upgrades—plus a new top-of-the-line Envoy model. 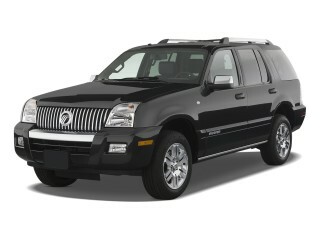 The 2002 model year brought significant change—in the form of all-new 'Atlas' engines. A 4.2-liter in-line six-cylinder engine made 270 horsepower and 275 pound-feet and was mated to a four-speed automatic transmission; meanwhile the suspension was redone, with a new independent setup in front and multi-link rear suspension. Envoy models got a rear air suspension as well as an Autotrac 4WD system with low range. One especially entertaining side note in Jimmy history is the GMC Typhoon. Only made for 1992 and 1993, the Typhoon added a big turbocharged and intercooler to the 4.3-liter V-6, as well as fuel-system pieces from GM's small-block V-8, a four-speed automatic, and a fixed-split all-wheel-drive system sending 35 percent of torque to the front and 65 percent to the rear wheels. With major upgrades to the braking system and suspension, too (with a load-leveling feature), the Typhoon made a conservatively rated 280 horsepower and 360 pound-feet of torque and (mostly) had the performance gear (if not the underpinnings) to handle it.